At the invitation of the Government of Iraq, the Global Coalition is supporting stabilisation and humanitarian efforts across Iraq to help the Iraqi people rebuild their lives after being liberated from Daesh. Along with the Government of Iraq, the Coalition recognises that the gains of even the most successful military operation will only be preserved if they are followed by successful stabilisation efforts, which address the underlying causes of the rise of Daesh. The Coalition is helping Iraq’s local government to make its cities safe and to work for local populations. This includes helping to clear neighbourhoods of mines and remnants of war, restore basic municipal services like electricity, water, education and health, along with setting conditions for local economies to recover and for Iraqis displaced by the conflict to voluntarily return home. By supporting Iraqi-led political and security sector reforms, the Coalition is working to consolidate gains to date and prevent a re-emergence of Daesh. The safety of civilians is a top priority for the Global Coalition. Successful IDP return is essential to consolidate the military defeat of Daesh. 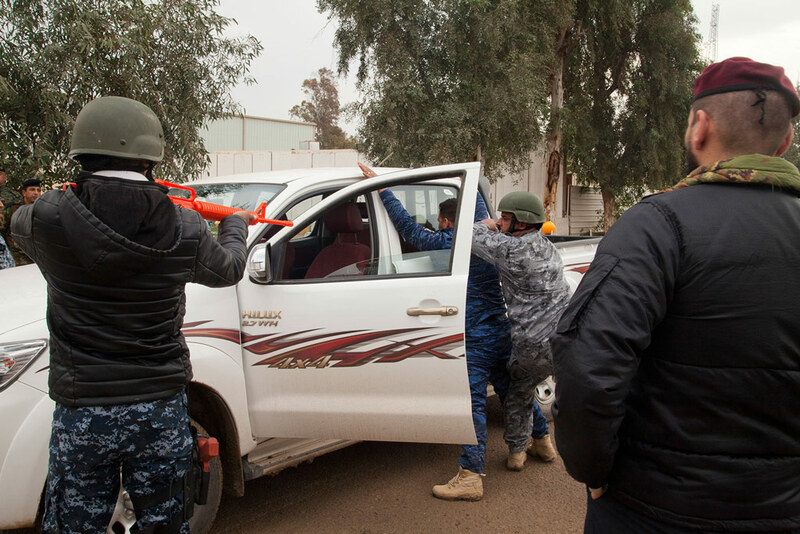 To date, the Coalition has trained 136,000 Iraqi Security Forces, including 24,000 members of the Iraqi Police Force, in techniques such as countering IEDs, so they can help people return to their homes and begin rebuilding their lives as quickly – but as safely – as possible. Over 3.7m people have returned home in Iraq with Coalition support. Funded in part by Coalition partners, UNDP’s Funding Facility for Stabilisation is currently implementing more than 2,100 projects in 31 locations across Iraq to support these people. Operating under recognised international authorities, the Coalition will continue to support local partner forces in Syria to stabilise liberated territory. Stabilisation includes the restoration of basic essential services, de-mining and the removal of explosive materials, and enabling the free distribution of humanitarian aid. This will also set the conditions for internally displaced people and refugees to return safely. As part of stabilisation, the Coalition will facilitate the transition of its partners to sustainable, self-sufficient, ethnically diverse local security forces. While the nature of support to partner forces will adjust as the Coalition shifts from major urban combat operations to stabilisation tasks, Coalition support will not end until the enduring defeat of Daesh. In accordance with UN Security Council Resolution 2254, the Coalition will coordinate and promote stabilisation efforts in Syria with the aim of strengthening credible, inclusive and non-sectarian governance. The Coalition will promote inclusive governance representatives of local communities that have been liberated from Daesh.